Chris Carter & Cosey Fanni Tutti pay tribute to their departed TG comrade Peter "Sleazy" Christopherson with the completed versions of two works initiated by their close friend. Before he passed during his sleep on 25th November, 2010, Sleazy was at the stage of organising vocalists to suit his re-imagined version of Nico's classic (anti)rock LP 'Desertshore'. 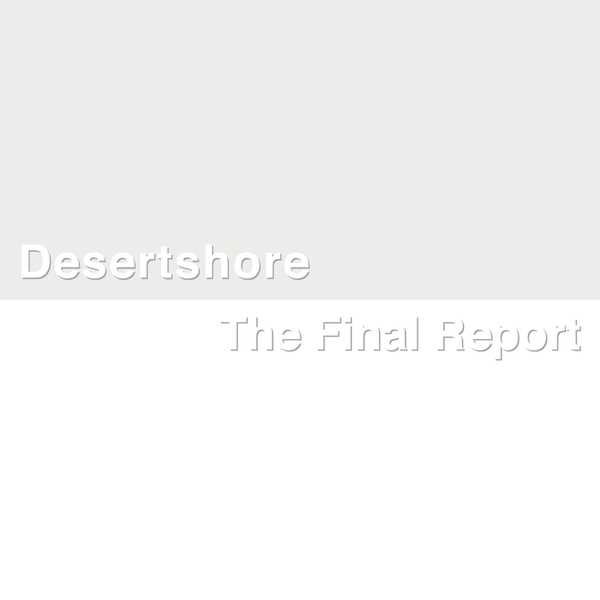 In tandem, he was also working on 'The Final Report' - which was to be Throbbing Gristle's last musical dispatch from the frontline of technology, art and performance - both from his Bangkok laboratory and with Chris & Cosey at their studio in Norfolk. It should be noted that Genesis P-Orridge left the group earlier in 2010. Duly, C&C shipped Sleazy's unique studio to theirs in order to pay tribute the best way they could, expanding upon his and their original ideas for the re-envisioned 'Desertshore' with vocals performed by a circle of close friends - Antony, Sasha Grey, Marc Almond, Blixa Bargeld, Gaspar Noé - providing them the opportunity to properly bid their friend farewell both individually and collectively on the last song 'Desertshores'. The completed result is heartfelt, sombre and bleeding with expression, a sound as slow and purposeful as a team of horses pulling an obelisk to its resting place. By this point, you feel they've rightly got something to note in their ultimate disc, 'The Final Report'. The culmination of nearly 40 years of research and practice, from Coum Transmissions through their numerous, fractious phases, Chris & Cosey develop their final recordings with Sleazy using both his "esoteric audio equipment" and their own to oscillate between ritualist drone, stygian sub-techno pulses and mind-expanding noise traversing the interzone of electro and acoustic, synthetic and human. At times it almost feels light-headed with redemption and resolution, but effectively it's ten tonne dark, an elementally powerful and absorbing testament to Sleazy and Chris Carter's restless technical innovation and Cosey's freeform sonic sensuality. No doubt, it's a fittingly special conclusion to this chapter, and an essential listen.